This is the first infinity scarf that I made for Jill. She is a cancer survivor and was wanting to help hide some of the scars. We didn’t have any pattern so I just started knitting. I don’t think it turned out too bad, but maybe a bit long. It does look nice if you loop it around one more time. Here are the instructions. I cast on 125 stitches knitwise, using size # nine circular knitting needles. The yarn I used was Yarn Bee Boucle Traditions. I knit in the round until I had just enough yarn to cast off. Then I cast off and buried the ends of the yarn in the knitting. I think it turned out really nice. 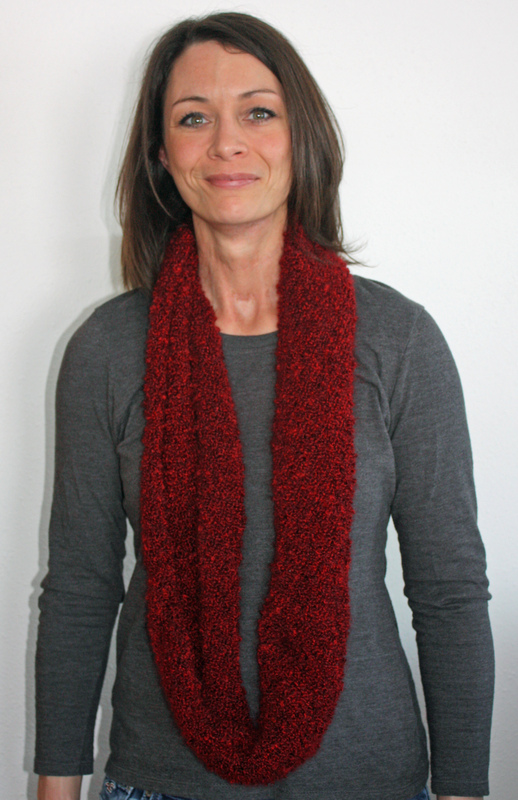 Let me know if you knit one and what you think of your finished scarf.